Oct 1, 2016: Thanks for showing up to Sandy Whitmeyer, Steve Habowski, Matt Schade, Jane Englert, Deb Machonis, Robin Stryker and Linda Umble. 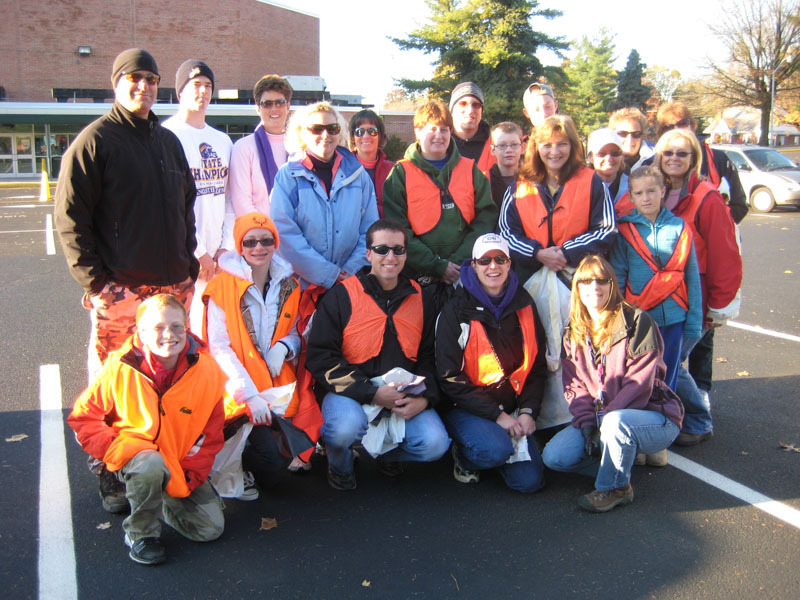 They volunteered their time to clean up the highway on Saturday for the first Fall Adopt a Highway pick-up. No rain and about 30 minutes of work. No good trash treasures this time though. Just trash…. Thanks again to our volunteers!! Anyone interested in donating their time to be on the Trash Team, please send an email to Linda Umble or me. Please remember to contact Linda Umble or Lisa Brimhall if you cannot attend on your assigned date and get a substitute!